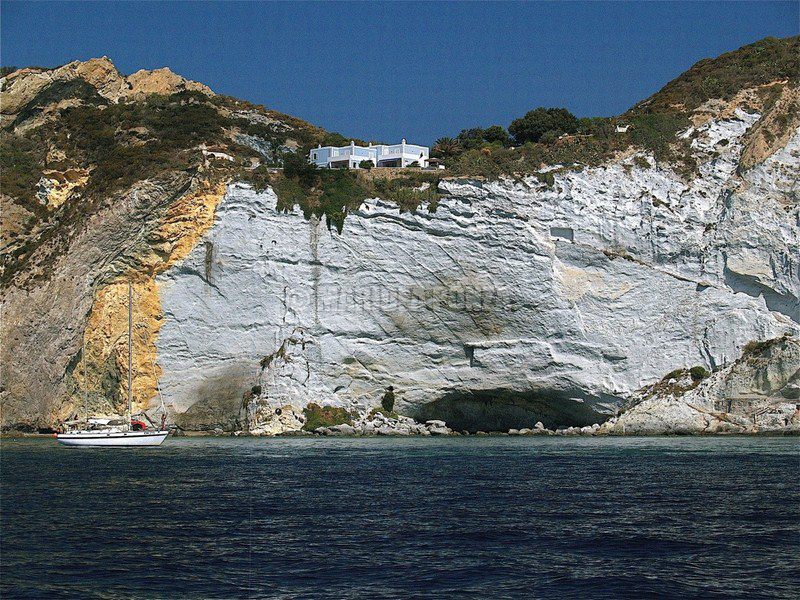 Classic and modern style come together in this beautiful property of Le Forna, just five kilometers from the port of Ponza, four bedrooms and services, which can seat up to seven people. Cozy and magical atmosphere environments where the white walls, the curtains, the soft pillows contrast with the deep blue of the sea and the sky. The open spaces, relax the guest and invite him to the sweet and invigorating idleness, to the actual recovery of the accumulated fatigue, to relax. On an elegant courtyard, the triumph of plants and flowers, overlooks a porch used as a kitchen and a wrought-iron pergola covered with white sheets shading the large outdoor table. 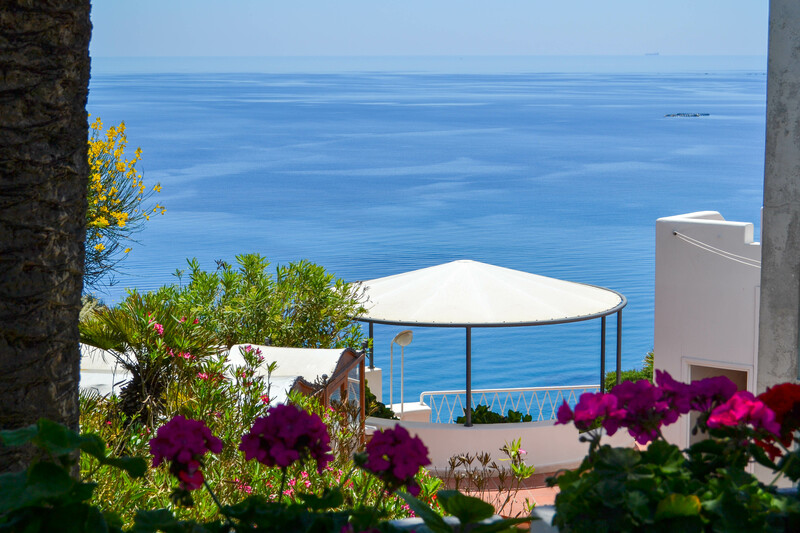 Guests have a spacious apartment in a villa on the first floor consists of a master bedroom with en suite bathroom, two further double bedrooms with shared bathroom, hall, kitchen and large terraces with sea views. All rooms are equipped with television; The access through the upper terrace, is in the large entrance furnished with a single bed. From the entrance, through a hallway, they open the doors of all the rooms, making each completely independent of the other compartment. The first room, overlooking the upper terrace and is furnished with a double bed, two bedside tables and a wardrobe. The bathroom, with window, is equipped with sink, bidet, toilet and bathtub. The second bedroom has a window and is furnished with twin beds, if necessary can be put together, wardrobe, desk, various shelves. The third bedroom has a window and is furnished with a double bed, bedside tables, wardrobe and dresser. The bathroom, with window, is equipped with sink, bidet, toilet and shower; The kitchen, the lower terrace in a particular wood and iron veranda, is equipped with ceramic sink, kitchen with four burners, fridge, oven, various cabinets, dresser, table, chairs and complete equipment. The outside dining area is covered by a gazebo, and is furnished with a large stone table, stone benches, chairs and barbecue. The second bathroom, accessible from the first bedroom is provided with sink, bidet, water and bathtub.